Live at 10 p.m. PST tonight, or download anytime! Please join the conversation — we’d love to have you! 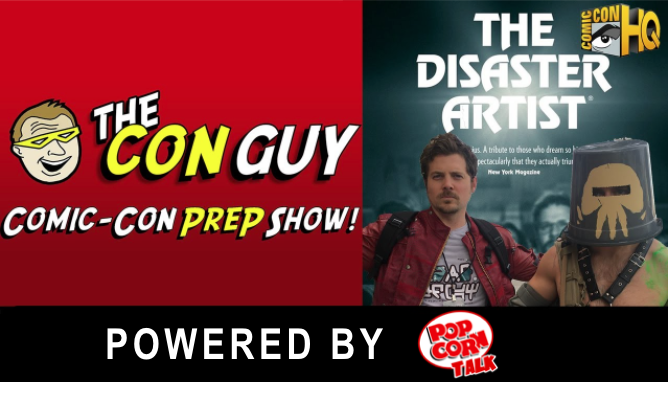 Here’s what’s on tap: We just saw the DISASTER ARTIST and loved it! James Franco nails it. 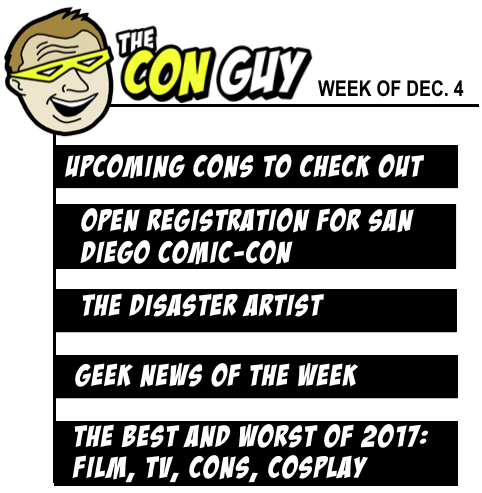 On this week’s show, we review this film about the notorious disasterpiece THE ROOM, and we give tips on upping your chances on scoring a badge during December 9’s open registration for San Diego Comic-Con. And we call out the BEST and WORST of 2017 (hint: You just can’t beat ‘Stranger Things’).